Primark does the cutest pyjamas. Every time I go to Primark, I end up picking up at least one pair of pyjamas or other nightwear. Other than the fact that they are quite cheap, they probably are the cutest patterns and designs I have seen. Though I have to say, there is an odd item which seems to be priced a tad bit more than we are used to spending, but overall the pricing is totally worth it! 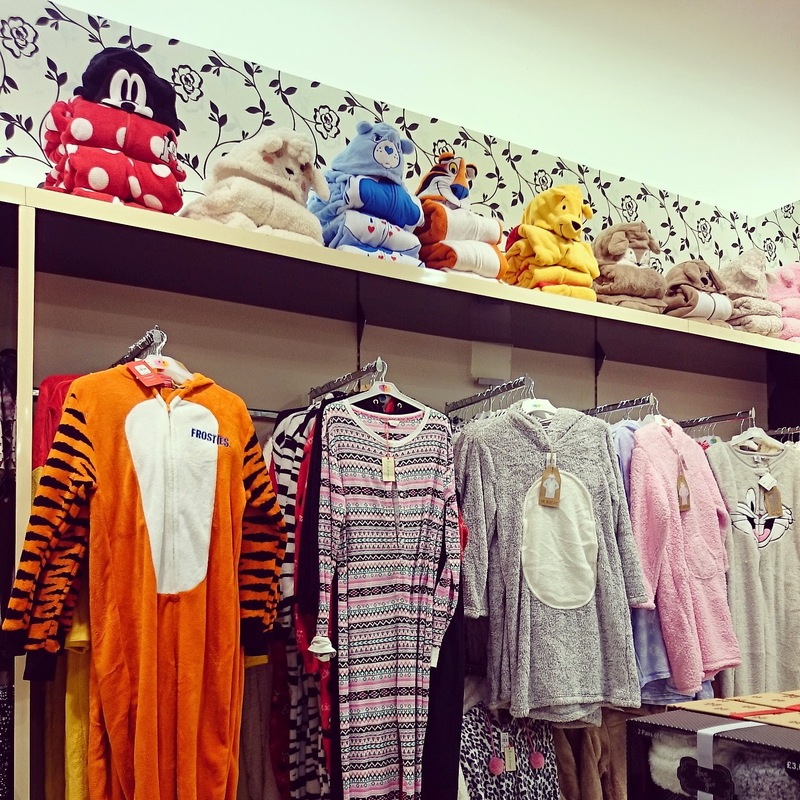 I also spotted some onesies… so so so cute! But I couldn’t make up my mind. Have a look at the picture below and you’ll know why. Which one would you pick?